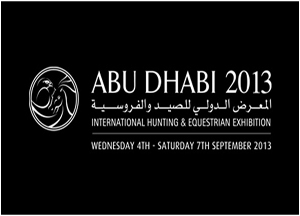 Abu Dhabi Falconers’ Club (ADFC) has announced its participation for the second consecutive year in the 12th Abu Dhabi International Hunting & Equestrian Exhibition (ADIHEX), Held under the patronage of His Highness Sheikh Hamdan Bin Zayed Al Nahyan, Ruler's Representative in the Western Region, from the 10th to the 13th of September in Abu Dhabi National Exhibition Center. The Abu Dhabi Falconers’ Club held a press conference on Sunday, October 6, 2013 to announce the release of its calendar for the 2013/2014 falconry season.The press conference was held at the Conference Hall of the Abu Dhabi Sports Council in Abu Dhabi in the presence of Sultan Al Mahmood, Executive Director of the Club and Obaid Al Mazrouie, Head of the Club’s Media Committee. 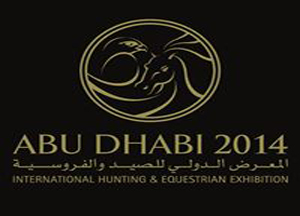 Held under the patronage of His Highness Sheikh Hamdan Bin Zayed Al Nahyan, Ruler’s Representative in the Western Region and Chairman of the Emirates Falconer‘s Club, the Abu Dhabi International Hunting and Equestrian Exhibition (ADIHEX) is the only dedicated consumer and trade event in the Middle East for weaponry, equestrian, outdoor & marine sports, safari, arts & antiques, and promotion & preservation of culture and heritage since its launch in 2013. The club has been promulgated based on the decision of HE Sheikh Nahyan bin Mubarak Al Nahyan, Minister of Culture, Youth & Community Development and Chairman of the General Authority for Sports & Youth Welfare.